Welcome Back Students, Parents, and Staff! As we are preparing for the upcoming 2017-2018 School Year. The faculty and staff are excited to be able to begin the year with exciting educational opportunities for our students surrounding the Solar Eclipse. Each student, and staff member of the Gasconade County R-2 School District will be provided with protective solar eclipse glasses. Teachers will be preparing great lessons to present to our students. Your kids will be participating in one of the most memorable events of our time. I am including the time frame of the eclipse for your information. This will be a fun learning experience for all of us in the Gasconade County R-2 School District. Timeline for eclipse activity in Gerald and Owensville. I have heard the question many times: What do teachers do in the summer? 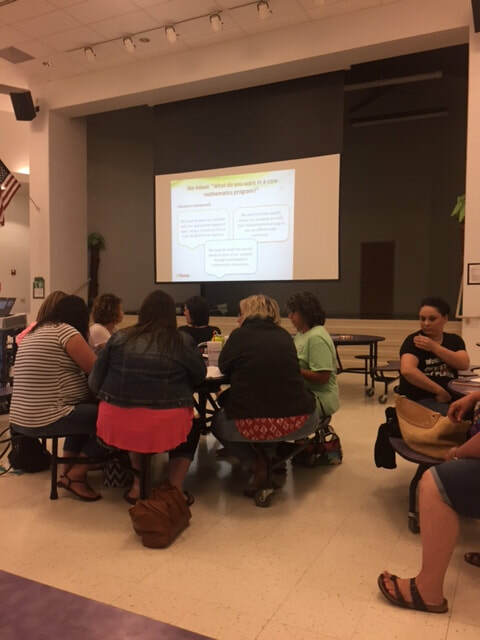 I can tell you the teachers of Gasconade County R-2 continue to participate in district sponsored professional development, teaching summer school, independent learning, voluntary professional development, curriculum writing, classroom design, monitor and respond to email, and lesson preparation for the upcoming year. Teachers who have a dual role as coaches are spending their summers preparing for the upcoming school year and preparing your students and our Dutchmen for the upcoming year. The technology and maintenance staff work non-stop to ensure a smooth start to the beginning of the school year for our teachers. As our teachers and staff members are preparing for an exciting, and successful year. I want them to know how much they are appreciated for all of their behind the scenes work. ﻿GCR2 Teachers work hard for our kids! Teachers spent the day March 9th taking a vertical look at the New Missouri Learning Standards and discussing the changes to the standards they are currently implementing. Friday afternoon they had the chance to work on professional development to enhance their personal teaching experience. Here at Gasconade County R-2 School District we are fortunate to have teachers who focus on building positive relationships with our students and will go above and beyond to help ensure their success. Teachers are preparing for End of the Year State Assessments and are working diligently to continue teaching skills our students will need in the future. ​Thank you for all you do for Gasconade County R-2! State Assessments results were released to the public on November 7, 2016. At Gasconade County R-2 one of our goals is to maintain an Annual Performance Report (APR) score of 90% or higher. Our district received a rating of 95.7%. Great job students, teachers, and staff members. This is not possible without all of the hard work and dedication you give to make our school great. We want to thank the parents and community members for your ongoing support. We began using a new English Language Arts program last year in Kindergarten through 8th grade and our scores were some of the highest we have seen. This year our teachers are examining new math programs to enhance our instruction in Math. We are well into the school year and all of our students and teachers are settled in. There are many exciting learning activities in progress daily for our students. Teachers are working hard to make sure they are the lead learners in their classrooms. Ask your students daily what they did at school. I have witnessed amazing science lessons, interactive reading lessons complete with teachers dressing for the occasion to engage students in learning, and we had some amazing homecoming activities to promote social learning. We have many great things going at Gasconade County R-2. Tonight will be Senior Night at the football game and Trunk or Treat is right around the corner on October 21st. Orientation was held for our new teachers yesterday at Owensville Elementary. It was exciting getting to meet everyone and work with them as they prepare for a new year. We are very excited about the upcoming school year. We are looking forward to working together and ensuring our students are ready to succeed. It is great seeing all of the teachers new and veteran walking the hallways and preparing their classrooms for a new school year. The time is quickly approaching when the sound of our students will be filling the hallway. We are fortunate to have great teachers and students in our schools. We hope everyone has been enjoying their summer break. Summer preparations have been well underway for some time now for next school year. We would like for you to see our new additions at Gerald Elementary and Owensville Elementary School during Open House. It is great to see all of the students who are coming out for summer activities. They are working just as hard to represent our school district for next year. We would like to thank all of our maintenance, bus, and custodial team members for their commitment to our district, students, and community. The Gasconade R-II School District is committed to serving the students of this community. It is a strong Dutchmen Tradition for our students to excel in multiple areas of their lives. We take pride in watching our students grow into well rounded citizens. This is done when our teachers prepare to demonstrate and work for excellence in the classroom. ​Not only do our students excel academically; they are provided with an array of extracurricular activities to peek their interests. All of this could not be done without the support of the parents, teachers, and community. We are thankful to have such an involved support system for our students. During the 2016-2017 school year the focus will remain on high student achievement. 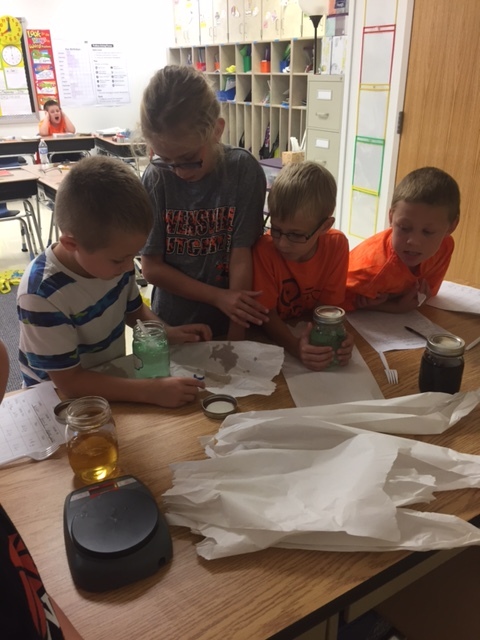 The Gasconade R-II School District will continue to implement the SLO (Student Learning Objectives) process. This provides teachers the opportunity to determine the strengths and weaknesses of each student and assists in achieving student mastery across the content.